Buy a product and check it in your own time, at home. You can return the product without providing a reason within 30 days. Your satisfaction is very important to us, therefore you can make a return without providing a reason within 30 days. We care about your convenience, therefore we offer you an easy-to-use return module. All returns processed by our shop are managed in a easy-to-use returns wizard which gives you the ability to send a return parcel. You can buy this product without placing an online order at one of our stores in your area. Check where the product is in stock. Enter contact details and we will notify you, when the product is available. Enter your e-mail address, to which we will send a one-time notification when this product is available again. Contact details entered above are not used to send newsletters or other advertisements. When you sign up to be notified, you hereby agree to receive only a one-time notification of a product re-availability. We accept payments via Paypal - one of the world's largest Internet payment companies. We will prepare your order for dispatch after we have received your cleared payment. You may pay with your Paypal account or your credit/debit card (via Paypal) right away, during placing of an order or later, after logging to your account. If you do not have a Paypal account you can still pay with your credit or debit card via Paypal's - Check out as a Guest option. 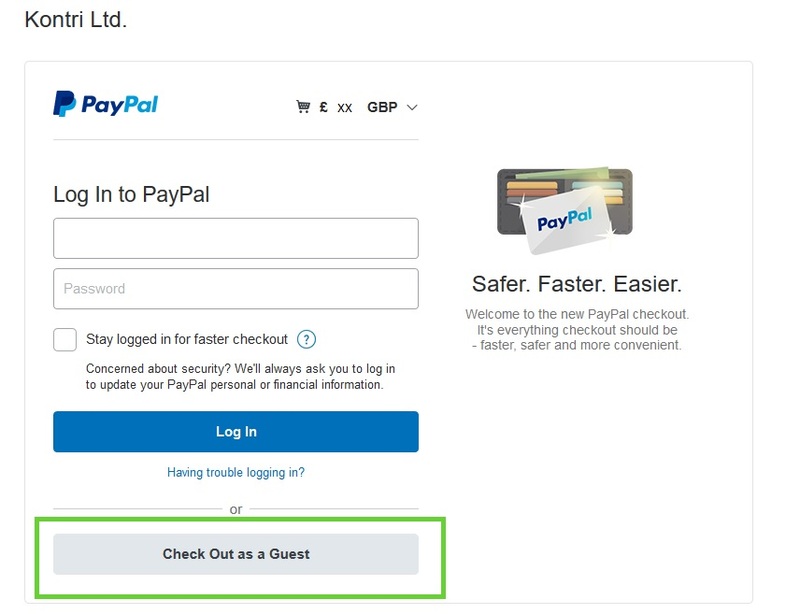 This option should be available after you click Make a Payment button and once you are transferred to Paypal's website, below the log in fields for Paypal account holders. Due to Paypal's internal factors, this option may not always be available. In such cases creating an account with Paypal will be needed to process your payment. Please be advised, that paying by eCheque via PayPal can delay dispatch of you order by a few days while the payment is being processed by PayPal (we recommended checking with PayPal the expected date on which the eCheque may be cleared). If we do not receive the payment within 2 days after the order has been placed, we will send reminders to your e-mail address. If we do not receive payment within 14 days from the date you placed your order, that order will be cancelled. When we dispatch your order you will receive your sales document in a pdf file via e-mail (if we split you order and send items separately, you will receive a document to each shipment). All prices are displayed in pounds sterling inclusive of any VAT (where applicable) at the current rate for which we are responsible as a seller (VAT charged will be either VAT of the country of delivery or country of dispatch). VAT isn’t charged for goods delivered outside the EU, but we maintain one price for each item on our website. Total amount to pay for your order will be the item price plus any delivery charges (if any, specified separately), but will not include import duties and other import charges (please see the section Customs & Duties for more details). The delivery charges will depend on the delivery option that you choose and will be shown during the checkout process. Your order will be dispatched as soon as possible (after we receive your cleared payment), to the address given when placing the order. In case of bank holidays, over the Christmas time or other high volume periods (for example Valentine's Day), please allow a few extra working days for dispatch and delivery. IMPORTANT- contact us immediately if you wish to change anything in your order. Please note that once the order reaches a certain stage of fulfillment we won't be able to make any changes in products ordered, cancel the delivery or change the delivery address! Total amount to pay for your order will be the item/s price plus any delivery charges (if any, specified separately), but will not include import duties and other import charges (please see the section Customs & Duties below for more details). The delivery charges will depend on the delivery option that you choose and will be shown during the checkout process. Please note that delivery times are estimates only. All deliveries will be made according to the carriers' standard procedures. Special delivery instructions serve as guidance only and may not be followed by the carrier. If we need to split your order, you'll only be charged once for delivery. However if you've asked for the order to be split, you'll need to pay postage on each shipment. A proof of delivery (signature) may be required upon delivery. Deliveries do not take place on Sundays and Bank Holidays. ** Provided that there are no service disruptions (e.g. due to snowfall). You may check here if parcel delivery services in your area have been affected. * Over the Christmas time or other high volume periods (for example Valentine's Day), please allow a few extra working days for dispatch and delivery. If you do not receive your order - let us know. We do not to deliver to the following countries: Burma/Myanmar, Cuba, Iran, Iraq, Libya, North Korea, Serbia, Sudan, and Syria. Please note that deliveries outside the EU may be subject to customs, legal or regulatory restrictions. Items available on othereden.co.uk are sold on a delivery duty unpaid basis, which means that the recipient is responsible for paying import duty or any import charges prior to or on delivery (if such charges are applied). You are responsible for checking with local authorities the relevant threshold and duties for your international delivery address before placing an order. 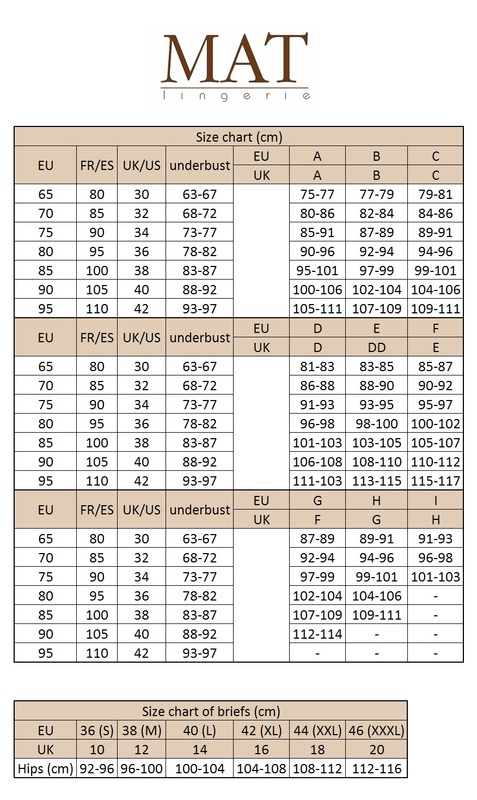 If the international delivery is outside the EU, it is advisable to keep your total order value below the customs duty threshold of the destination country. The amount of duty (if any) depends on the type of goods you buy and their value; some items can be imported without paying any duty at all. Please ensure that you enter the correct international delivery address and postcode. If the address is entered incorrectly or if customs duties or formal customs entry are required, your delivery may be delayed. Such issues would need to be resolved by the buyer. Please also note, that we're legally obliged to declare the full value of the goods on all packages shipping outside the EU. You should check all products you receive against your order. If the products delivered are damaged or incorrectly supplied then you must note the details of any damage or error on the delivery documentation or if you are unable to view the items on receipt, you must inform us (by post, phone or email) within a reasonable period of time. You do not need to worry if you change your mind or would like to try another size/colour/fit - customers in UK, Germany, United States, Canada, France and Italy may send their returns to our local returns centres located in those countries. More information here. If this description is not sufficient, please send us a question to this product. We will reply as soon as possible.